Obesity is considered a disease by the World Healthy Authority, and if we’re now considering it a disease, we should consequently be talking about a cure for this disease. It is a misconception that obesity sufferers are trapped and must remain that way. Obesity can be cured through a combination of physical exercise and diet. 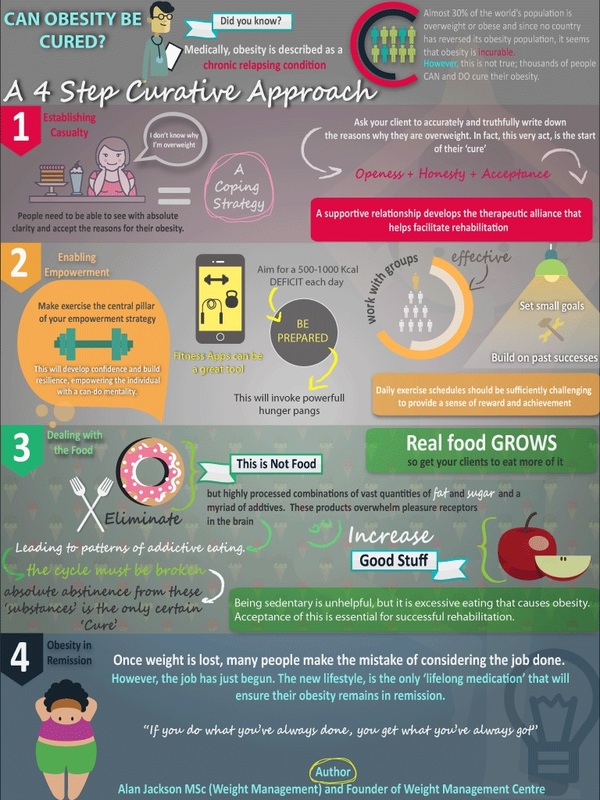 This infographic highlights the process that professional personal trainers use to cure obese clients. This is the first time that I have seen an outright advertisement on this website. Disappointment. I usually find these infographics actually informative, but this one is so clearly an ad for the personal trainer program.